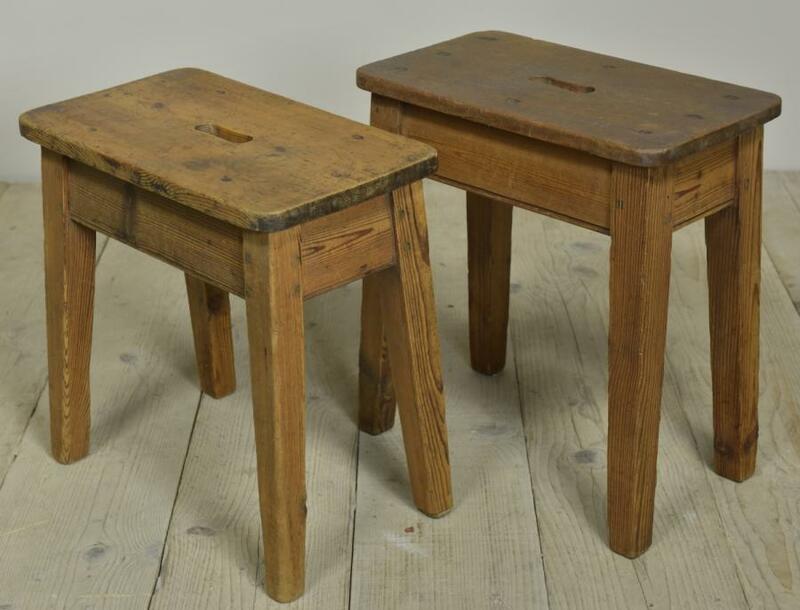 A pair of antique / early 20th century pine work stools, one with a mahogany top from a Yorkshire factory or mill.Each has a pierced top for carrying, splayed legs and moulded rails joined with pegged mortice and tenon joints. 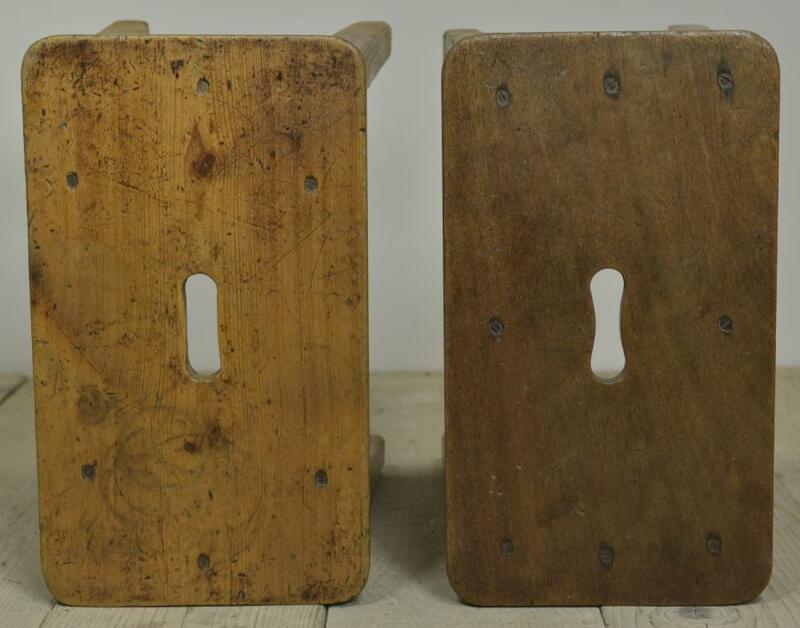 Both solid, cleaned and ready to go.Sold individually or together. 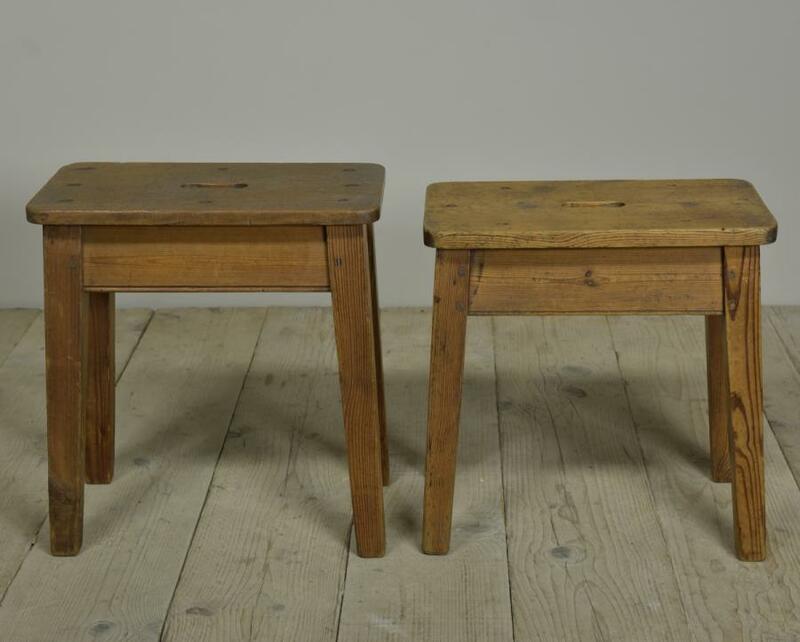 Dimensions in inches/cms; Mahogany topped stool - top is 18/46 by 10.25/26. 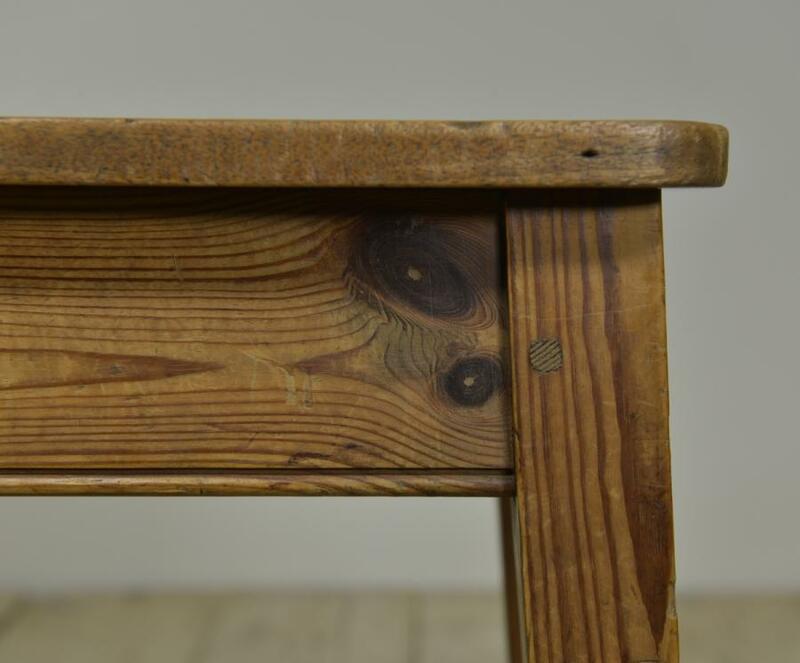 19.25/49 tall All pine stool- top is 18/46 by 10.5/26.5. 18.25/46.5 tall. For more / higher res images please see my blog which can be accessed through the news section of this (haes) website.